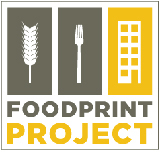 IMAGE: This iteration of the Foodprint Project logo was designed, as always, by the fantastic Nikki Hiatt. 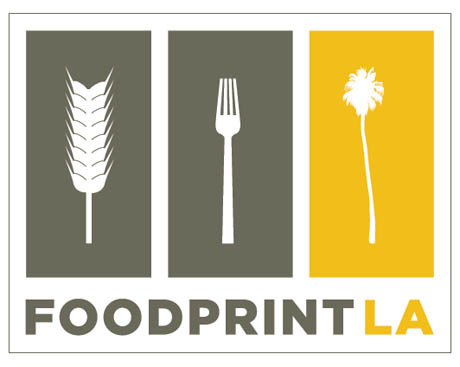 This autumn, Sarah Rich and I will be bringing our Foodprint Project event series to Los Angeles. 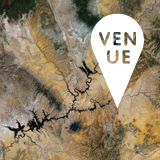 But first, we decided to try a little crowd-sourcing experiment, which, I’m excited to say, we’re launching today! Inspired by a meeting with UCLA Computer Science professor Deborah Estrin, and Paula Daniels, who was just named senior advisor for food policy by Mayor Villaraigosa, we’ve teamed up with the Los Angeles Food Policy Council, an incredible group of volunteers tasked with helping realise the goals of the city’s Good Food for All Agenda, and Kullect, a fun new data collection app based in San Francisco, to find a little bit more about what food Angelenos are buying, and where it all comes from. It’s a pretty simple idea: Every two weeks, we’ll be asking volunteers to document their purchases of different types of food — bread, eggs, peaches, milk, crisps, etc. 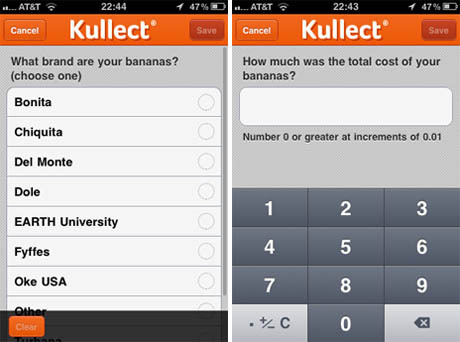 — using Kullect’s handy mobile app (available for iPhone and Android). We’ll take the data (anonymised, of course), analyse it for patterns and insights, and create data visualisations — infographics, maps, and charts — that we can share with everyone who wants to understand the city’s foodscape a little bit better. The resulting data won’t replace a rigorous foodshed study in the city’s planning process, of course. Nonetheless, we think that crowd-sourcing the data-gathering process and then mining the resulting information to tell stories and ask new questions will be a fun way to build awareness and encourage conversation about where the Los Angeles’ food actually comes from. And we are working with various organisations to try to make sure that the need for a smartphone isn’t a barrier to participation, and to put together a Spanish language version (bilingual volunteers, please email me!). 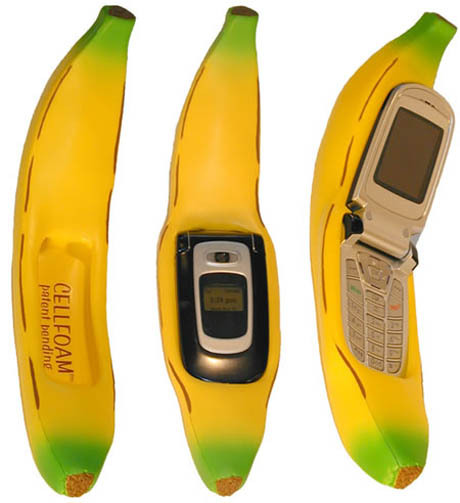 IMAGE: No special banana-phone required. 1. Register at Kullect. You’ll need to provide your email address to receive an invitation to the service (Kullect is still in private beta, so you’re getting a sneak peek at the future into the bargain). We’ll also ask you to provide some basic demographic information. This is totally optional and it will never be associated with you and your email address, so if you don’t mind sharing, it will help us relate the data we collect to the larger demographic of Los Angeles. 2. Download the Kullect app. It’s free, and it works on Android and iPhone. 3. Document your food purchases. Every 2 weeks, we’ll be asking you to record your purchases of a different food type. We’ll send you an email to let you know what it is. So, during the fortnight that the food type is bananas, every time you buy a banana, whether you’re at the supermarket, filling up at a petrol station, or grabbing breakfast to go at a coffee shop, we want you to whip out your phone, open Foodprint LA: Bananas in Kullect, take a quick photo of your banana(s), enter the price, choose from a list of vendors, and contribute your individual banana purchase data to help create a bigger picture of the Los Angeles banana-scape. Repeat step 3 as many times as you buy bananas during that two-week banana-data Kullection. 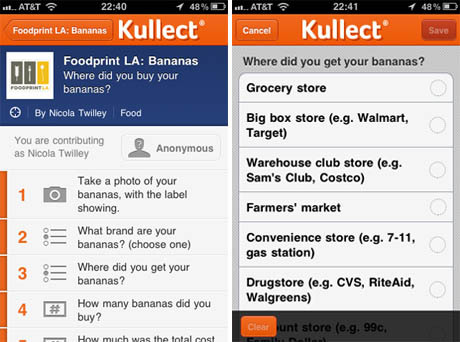 IMAGE: Screenshots of the Foodprint LA: Bananas Kullection on an iPhone. That’s it. Pretty simple — but I can’t wait to see what the city’s foodscape looks like, collectively re-mapped through thousands of individual purchases! If you’re in LA, please join in, and get your LA-based friends, family, and colleagues on board too. 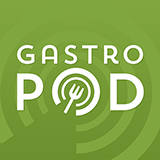 This entry was posted in Foodprint Project, Uncategorized. Bookmark the permalink. Trackbacks are closed, but you can post a comment.